Crime drama with Edward G. Robinson as a violent gangster on death row. He orchestrates an escape that includes fellow death row inmate Peter Graves as well as some hostages. Robinson attempts to secure a way out of the country while the manhunt for him grows. Also featuring Jean Parker, Milburn Stone, Warren Stevens, Jack Kelly, Sylvia Findley, Hal Baylor, James Bell, William Schallert, and Russell Johnson. The films' low budget only accentuates the gritty tone. Robinson gets to play a real out-and-out bad guy again, which is a treat. Seen it on rarefilms but the copy wasn't very good. Since Glynis is still alive, somebody should see if she could see all this that is being written about her, be it about Miranda, While You Were Sleeping, Zelly and Me, Mary Poppins, Personal Affair, or The Chapman Report, because she is definitely having her "moment" here. Pathecolor adventure from Italy starring Errol Flynn as Renzo who, along with compatriot Raniero (Cesare Danova), gets into all sorts of trouble in 16th century Italy. His lifelong pursuit of women comes into conflict with the new ordinance in the duchy of Sidona that all men over 20 must marry and have children or risk imprisonment. Also featuring Gina Lollabrigida, Nadia Gray, Paola Mori, Roldano Lupi, and Yvonne Furneaux. Flynn tries for some of his old swashbuckling charm with mixed results. The film looks nice, but the script is weak. Not to mention The Magic Box, The Promoter, and The Beachcomber, all of which I've watched and reviewed in this thread in the last month. She's always a welcome presence, in my book. 3-D science fiction dud from Ivan Tors. When strange deaths occur at a top-secret government laboratory, Richard Egan is sent to get to the bottom of things. It seems one or more saboteurs may be at work, perhaps connected to the giant computer controlling the lab, which also operates a pair of robots named Gog and Magog. Also featuring Constance Dowling, Hebert Marshall, John Wengraf, Philip Van Zandt, and William Schallert. This features some of the funniest bad acting that I've seen in some time, which alleviates the dullness of the film's ponderous science lectures. 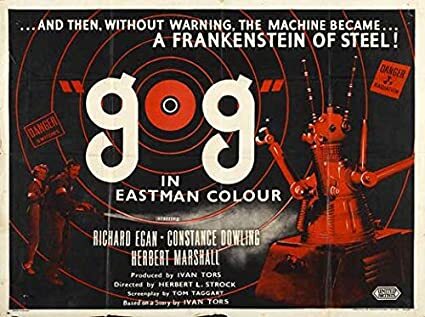 Not much happens, and what does happen is pretty dumb, but the atrocious performances and the 50's sci-fi ambiance almost make it worthwhile. Lukewarm adventure set in Haiti. John Agar stars as a treasure hunter looking for a statuette that will lead him to a legendary fortune. He's joined by the lovely Rosemarie Bowe as they brave voodoo ceremonies and dangerous terrain. Also featuring Abner Biberman (who also co-wrote and directed the film using a pseudonym), Andre Narcisse, Jacques Molant, and Pierre Blain as the "Houngan". The script is corny and the plot routine, but there's a lot of nice location scenery, and anyone with any interest in voodoo ceremonies should definitely check it out. 30's and 40's movie-bad-guy Biberman began a second career as a director with this, later branching out into television, as well. Co-star Bowe married Robert Stack in 1955, taking his name and staying together until his death in 2003. Rosemarie herself passed away less than a month ago, in January of this year. The production used a lot of locals for the supporting cast and crew, including hiring a local physician named Francois "Papa Doc" Duvalier to be their set medic. He'd become the notorious president of Haiti in 1957. I remember watching this as a kid and being scared. I revisited it about a year or two ago, and I lost count of how many people were offed in this thing. But I still liked it. And it's a hoot seeing Herbert Marshall wielding a flame thrower. I enjoyed how most of the scientific and engineering "experts" on staff had no clue what to do when things went south. Granted, if they were better at their jobs, there wouldn't have been much of a movie. I also liked the monkey-freezing. Nothing brightens up a morning like a good monkey-freezing. 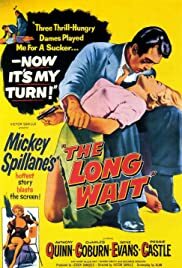 Moderately entertaining crime thriller with Richard Conte as a Korean War vet accused of murdering a "floozy tramp" in Las Vegas. He goes on the lam, hitching a ride with photographer Joan Bennett and her model Wanda Hendrix. Conte takes them hostage as the law closes in, and there's much fast car driving and shooting of the tires. 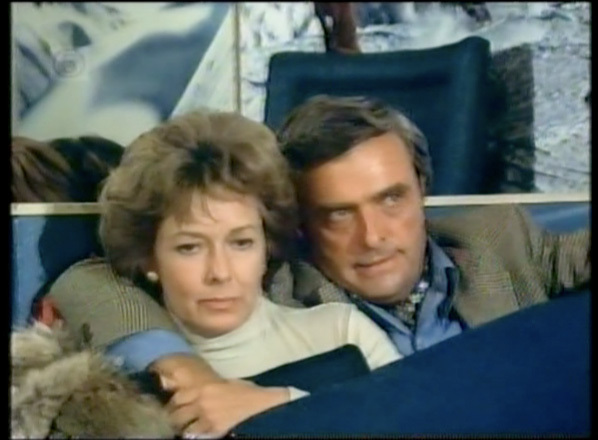 Also featuring Reed Hadley as a cop named White Eagle, Mary Beth Hughes, Iris Adrian, Harry Harvey, Frank Jenks, House Peters Jr., and Joseph Crehan. This marked the first film credit for Roger Corman, as a co-writer and co-producer. Conte's character is irritated and irritating, making a bunch of dumb moves. Bennett's performance ranges from okay to awful. Hendrix wears a bathing suit for half the film. There's a big cast in this political mystery/thriller about the disappearance of the president after Air Force One goes missing while en route to California. Vice President Buddy Ebsen is suddenly thrust into the spotlight, while reporter Peter Graves tries to figure out what happened. Also featuring Rip Torn, Raymond Massey, Arthur Kennedy, Joseph Campanella, Louise Sorel, James Wainwright, Dabney Coleman, Mercedes McCambridge, James B. Sikking, and John Amos. I was about halfway through with it before I realized that I had seen it before. I finished it again anyway. The cast is the draw, as the story never built up sufficient drama to hold my attention. A competently made example of 1970's television. And it's a hoot seeing Herbert Marshall wielding a flame thrower. As long as he didn't take it to his wooden leg. That's a nice top on Rosemarie Bowe. I give it a 7/10 for the highly interesting ending at the spooky looking half sunken resort on the Salton Sea. Sequel to Warner Brothers popular hit of the previous year, Four Daughters, with the same cast and director (Michael Curtiz). The three Lane sisters (Priscilla, Lola and Rosemary), along with Gale Page, reprise their roles as the Lemp sisters, with Claude Rains as their lovable musically inclined poppa. This is the kind of wholesome, sentimental family "entertainment" that usually gets a big "ICK! out of me. However, bringing an unexpected touch of reality to this one, a portion of the screenplay deals with the continuing mourning process that one of the sisters (Priscilla) goes through following the death of her husband in the first film. 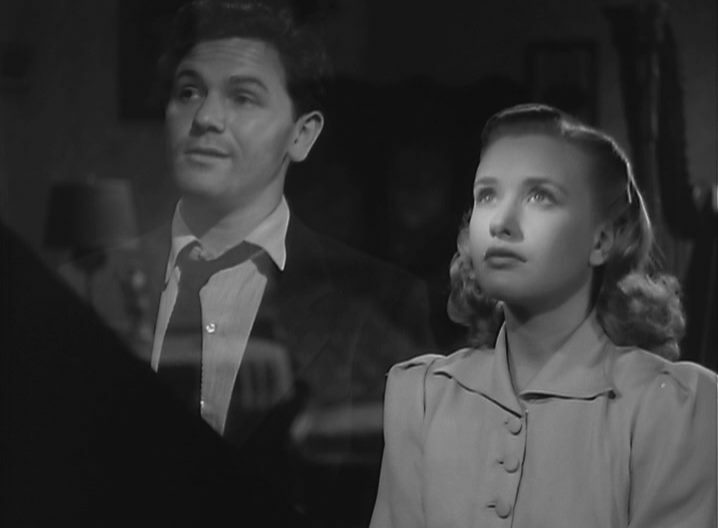 John Garfield had played Mickey Borden, that "Sure the Fates have it in for me" spouse in Four Daughters, and there are a couple of transparent images of him clipped from that film re-utilized here. Priscilla Lane was never anyone's idea of a gifted actress, her specialty being cutesy, wholesome good looks, but she brings some sensitivity to these scenes, and is to be commended for that. In contrast to Priscilla's anguish over the past, the film also has a cheery, upbeat story development of Rosemary (in a winning performance) setting her cap for a young town doctor (played by an appealing Eddie Albert in one of his earliest roles at Warners). Claude Rains plays it cutesy again (as he did in Four Daughters) as the father. Rains is always a welcomed presence in a film but it seems like a waste of a great actor to see him in such a role that could have been played by any of a number of other character actors who specialized in warm and fuzzy parts. I noticed a couple of amusing aspects to the story line. The town gossip (played by character actress Vera Lewis) has her screen time increased a bit in this offering. Now she's actually informing Rains of things happening in his own family. At one point, after she has just informed Claude of a particularly important activity and he asks her if she's sure, she grows indignant and replies, "Well no one has ever doubted my word before!" Nothing quite as reassuring as a gossip who prides herself in her accuracy. I also noticed how sister Lola leads husband Frank McHugh around by the nose much of the time. She takes it upon herself to inform him that they are going to adopt a child (he's none too happy about it) and goes by herself to the orphanage to select the child. She even brings home a girl rather than a boy (which McHugh wanted) just because she was so cute. McHugh, of course, meekly accepts "the boss's" decision. 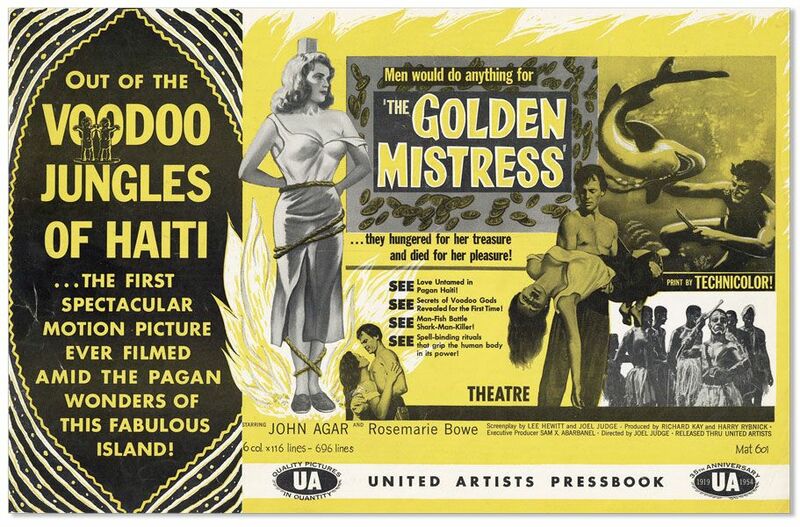 Despite the hokum fans of this kind of family entertainment will probably enjoy it, smoothly directed, as always, by the incredibly prolific and versatile Mike Curtiz. There is also a dramatic presentation over the radio of "Symphonie Moderne," a completion of Mickey Borden's only partially composed work from the first film. It's an impressive musical sequence, the symphony actually composed by Max Steiner. (Jeffrey Lynn is a little overly dramatic as he "conducts" the orchestra). By the way, the same year that Four Wives was released Curtiz directed much of the same cast in another family drama, its story unrelated to the Four Daughters series, Daughters Courageous. Unlike Four Wives, that film showed what a sensitive, touching performance Claude Rains could deliver in a good role, that of a wanderlust father returned home for the first time in 20 years to the family he had abandoned. There would be a third and final film in the Lemp sisters series released in 1941, Four Mothers. I wish TCM would run this. I've wanted to see it for a long time. (not that I'm expecting anything great). That why they need Joan Bennett for Star of the Month. Then they can show this. British romantic fantasy with Anna Neagle as an actress during WWII who has to decide who to marry: producer David Farrar or financially-secure Peter Graves (not the American one). Anna imagines herself and her suitors in different time periods and as different characters, as well as reflecting on her relationship with her father (Errol Flynn). Also featuring Kathleen Harrison, Helen Haye, and Stephen Boyd. The film jumps from B&W to color, depending on the era of the scene. I thought Flynn did a good job in more of a supporting role than usual. Some sources claim that this is Sean Connery's movie debut, as one of the background extras. There are elements of A Star Is Born to the film's storyline as Flynn's career declines while his wife's is on the show business rise. Flynn looks bloated in this one (he took the role, really needing the money at the time) but he seems intermittently engaged in his characterization. At one point Errol engagingly sings "Lily of Laguna" on a stage while doing a soft shoe, and I think he has a touching moment in a close up when his character is on a Hollywood sound stage and his mind wanders back to the good times he had once had with his former wife he still loves. There's also an inside joke about Burma at the film's end which may have had British audiences at the time reacting after the controversy there ten years before over Flynn's Objective Burma.